Happy Monday! I hope you guys had a good weekend. Notice anything different? I made a new banner this weekend... The images are all from FOs I've completed in the past, but they've been toned to purple to match my current layout. You may also notice a small image on the righthand side of the page. I'm super excited to announce that I'll be featuring one knit/crochet-related sponsor on the blog each month. In exchange for the ad space, we're getting awesome yarns, fibers, and products to GIVE AWAY each month! Awesome! 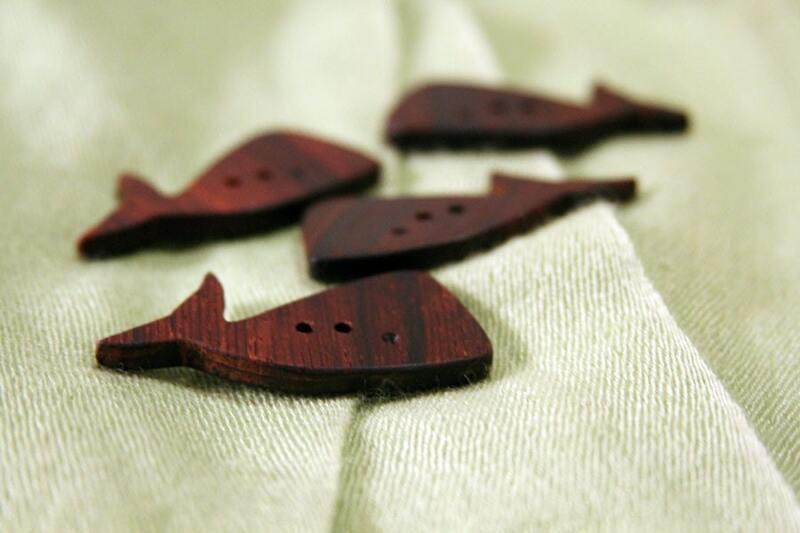 For the rest of February, I'm featuring amazing wood buttons by Blue Lab Workshop. Blue Lab specializes in exotic wood buttons and toggles. This month, one lucky reader will receive a handmade "Moby" whale button, like the ones pictured above. The buttons are hand-finished and are smooth, shiny, and have incredible graining. 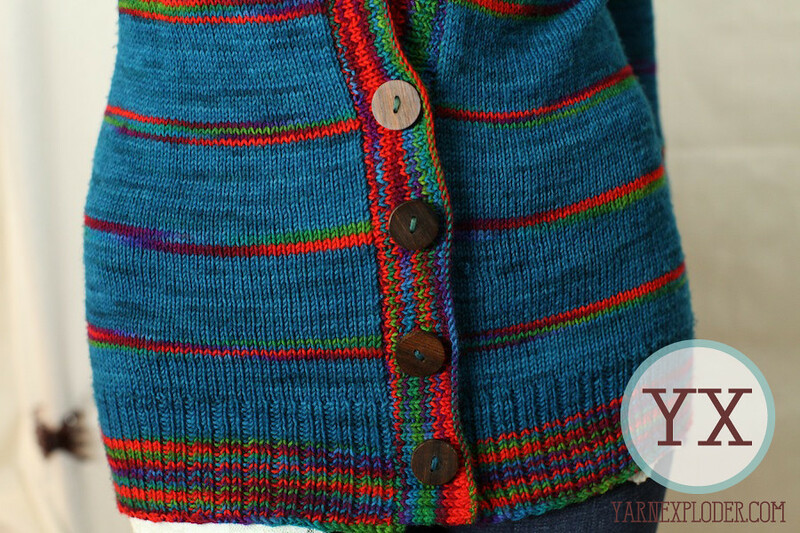 I love their earthiness, which works so well with crazy or variegated yarns, instead of fighting with the color. They're lightweight, too, so they won't pull on your finished fabric. Win one of these "Moby" whale buttons by checking out the Blue Lab etsy store. Then, come back here and leave a comment with your favorite one! Our winner will be chosen on the last day of the month, so check back! Moby is my favorite, with Blinky coming in a close second! Blinky would be perfect for my next aviatrix hat! I wish they would make an owl one too. I like the sara button set. Thanks for the chance! I love Moby! And Gummy is also a fabulous piece of work! Thank you for sharing with us the opportunity to see these wonderful handcrafted buttons. I think the gummy is too cute! I love Burt. I think I need to knit a sweater that has a mustache. I love the Corby buttons. I love Burt. Also, go Andrew for the buttons! My favorite is the Moby. Cute little whale. I like the bloodwood "Blinky" buttons. I think my post didn't work - here goes again. I should choose "Sara" but I really like the whale the very best of all! The mustache button is so cute. I love Burt. Love it. Seriously. Call me old fashioned but I love the Corby buttons, they are my favorite! My second favorite would be the Gummie bear buttons. I can't help it. I like Burt the best. I thought I commented on this yesterday but I think I forgot! I love the buttons so much, the wood is beautiful! My favorite is Corby. I love Corby and Gummy, I have a little collection of these kind of buttons from swaps. 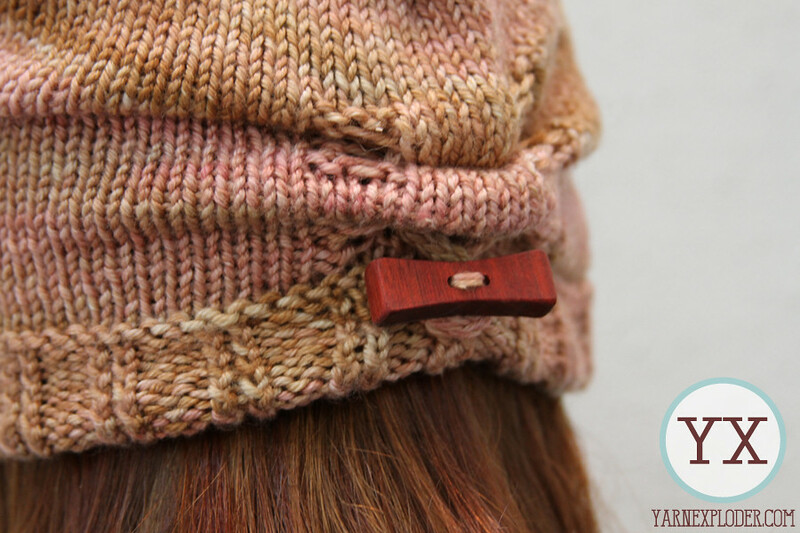 I just think wooden buttons make a knitted item pop somehow. Moby is a cute one, but I would have to say Sara is my favourite. Yay for all of your changes! How exciting. :D As far as buttons go, while the Moby is SUPER CUTE (um, hello button on a cute hat!) I really like the Corby button. I'll def. have to pick some up for that one sweater I keep slow-poking along at. Woot!! Wholey crap I'm in love with GUMMY. I think I might have to start a sweater just so I can use him!!!! 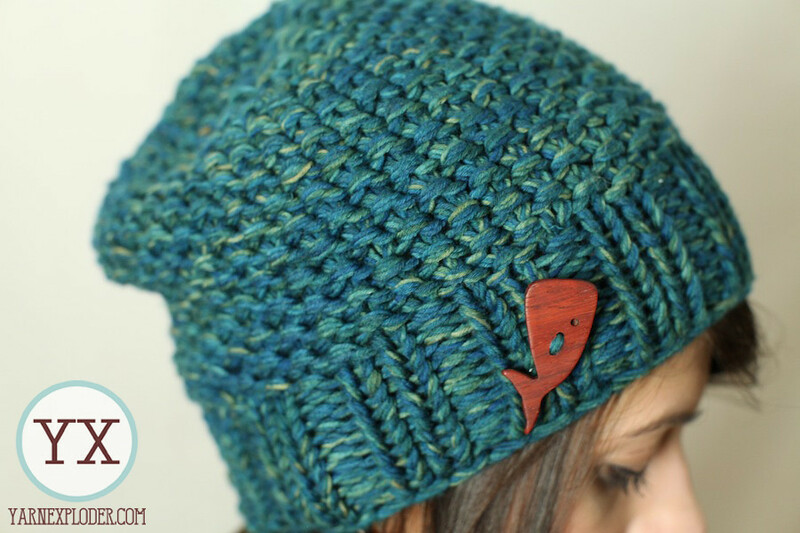 It was a hard choice, but since I'm usually in a knitting for children mindset, I like the whale one the best. I love the color of the wood!!!!! ARg ! those "moustache" buttons are gorgeous !!! My favorite is the "Moby" whale. I love those buttons! I've just discovered your blog, will definitely be poking around a bit as we have a similar (small gauge sweater) obsession going on!